Much like your unique business, your marketing needs aren’t cookie cutter. The work we do for our client down the street will never be the same as what we can and will provide for you. That’s why, when it comes to our service offerings, we are always open to mixing and matching, custom tailoring, or reinventing the wheel altogether to accommodate your specific needs. Our full listing of corporate business services is below. Simply scroll down the page or click an option below to learn more about our services. A great meal starts as a list of basic ingredients. It takes the right combinations and the right expertise to craft it into an extraordinary outcome. Think of the list below as the potential “ingredients” . Our role is to strategically blend the right elements that produce extraordinary outcomes. There’s nothing more constant than change, and it should start within your organization. Let the MW team help you start a revolution that will resonate from the inside out. Our Cultural (R)Evolution Program is our full speed ahead approach to transforming your business’ culture in the most electrifying way. Ready to rebuild a culture that attracts the right customers AND retains and attracts great associates? Get ready to start a (R)Evolution. Ever heard the quote “a goal without a plan is just a wish?” We totally agree. You surely have more than wishes for your businesses’ success. You have definitive goals and expectations. We’ll create a comprehensive actionable 12 month marketing blueprint to move your group towards those goals-faster. Think of us as epic sorters. Developing the right strategy demands it. We sort out who your audience actually is and what they care about. We sort through channels and message options and develop a plan that slices through the marketing chaos. The right strategy offers better results and a far more efficient use of limited (because who has unlimited monies)marketing dollars. In a world gone digital, visibility in the marketplace isn’t just about your physical presence. Keeping the masses abuzz about your brand means keeping up with Google and company; and if you’re not being noticed by the latter, you may be placing would-be prospects at the doorstep of your competitor. 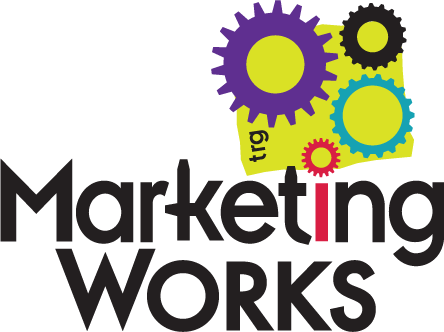 Let Marketing Works build a virtual megaphone around your business with tools like SEO, website development, display advertising and more. Remember when your teacher would say, “Don’t tell me, show me?” That’s exactly what we’ll do when you visit the links below. These projects for a wide variety of clients show how our disruptive, remarkable, and unexpected marketing solutions come to life in the end-product of compelling, strategy-driven creative. Take a few moments to browse through our portfolio—it’s sure to get your gears turning with thoughts of what you could accomplish with Marketing Works on your team!